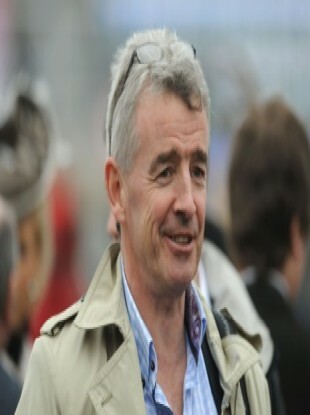 Chief executive of Ryanair Michael O'Leary at the Cheltenham Festival. RYANAIR HAS BEEN given one of the highest credit ratings among airlines by ratings agency Standard & Poor’s citing it’s “industry-leading operating efficiency” in the market and its “above-average profitability”. S&P have given Ryanair a ‘BBB+’ rating which means that lenders to the airline would face “minimal” financial risk. The agency say that they actually assess Ryanair at one notch higher with an ‘a-’ anchor but adjusted it downwards because S&P want to reflect that the carrier may use funds to invest in aircraft or return money to shareholders. High operating efficiency, thanks to Ryanair’s focus on costs. This allows Ryanair to operate a significantly lower cost per passenger and cost per available seat mile than its peers. In addition, Ryanair has a relatively young fleet of aircraft. But S&P do add some caveats to Ryanair’s positive position, citing “Ryanair’s lower exposure to higher-spending and less price-elastic business travelers”. “In addition, Ryanair has a lack of geographic diversification outside Europe due to its lack of long-haul flights and reputation for providing less customer-friendly services than some of its peers,” they add. By way of comparison, British Airways were given a ‘BB’ rating, four nothces below Ryanair and American Airlines a ‘B’ rating, five notches below Ryanair. Email “Ratings agency S&P is a Ryanair fan, praising ‘industry-leading operating efficiency’”. Feedback on “Ratings agency S&P is a Ryanair fan, praising ‘industry-leading operating efficiency’”.